Today a U.S. District Judge threw out the case against Critical Art Ensemble artist Steven Kurtz calling it ‘‘insufficient on its face.’’ Finally, a bit of sanity in what’s been a four-year judicial farce. 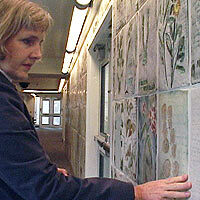 In Memoriam: Artist Ann Chamberlain passed away April 18. A memorial celebration of Chamberlain’s life and work will be held at the San Francisco Art Institute (SFAI), 800 Chestnut Street, on Sunday, April 27th, 2-4 p.m., to be followed by a reception.